Day 5: I read this to myself, out loud, and a little later, I sat down to chant a mantra. Day 5: I read this to myself, out loud, and a little later, I sat down to chant a mantra. 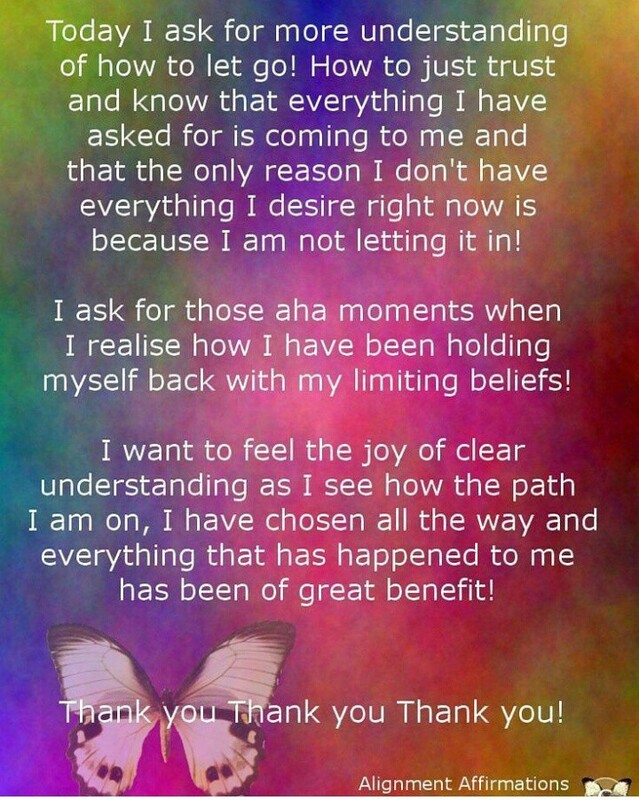 As I did so, I had an ‘aha’ moment, I realized something about my own self limiting beliefs. I see myself as damaged goods. Whether it’s the age (in my 30’s), or the failed marriage(s), I see myself as someone who’s no longer acceptable societally, to be loved intensely and be committed to in love. I see myself as the one who isn’t anywhere in any sense of the word in anyone’s scheme of things. That’s the problem. I see myself a certain way, and that has to change. That’s what’s holding everything back from manifesting quickly. The issue is right here, in me, because I see myself through the lens of prejudicial conditioning. Now no more. Age is just a number, failed relationships are life experience, I though, I am the beautiful person I have always been, since inception and all the way through. I am no less, I am incomparable, and I am the unmarred soul enriched by all my years lived. Which makes me a fantastic person, who deserves the absolute best of everything, and who is a blessing to everyone whose life she is in. This is me, the real me. Now when I look into the mirror, this is who I shall see. This time, I will, because I will it, and so it will be.